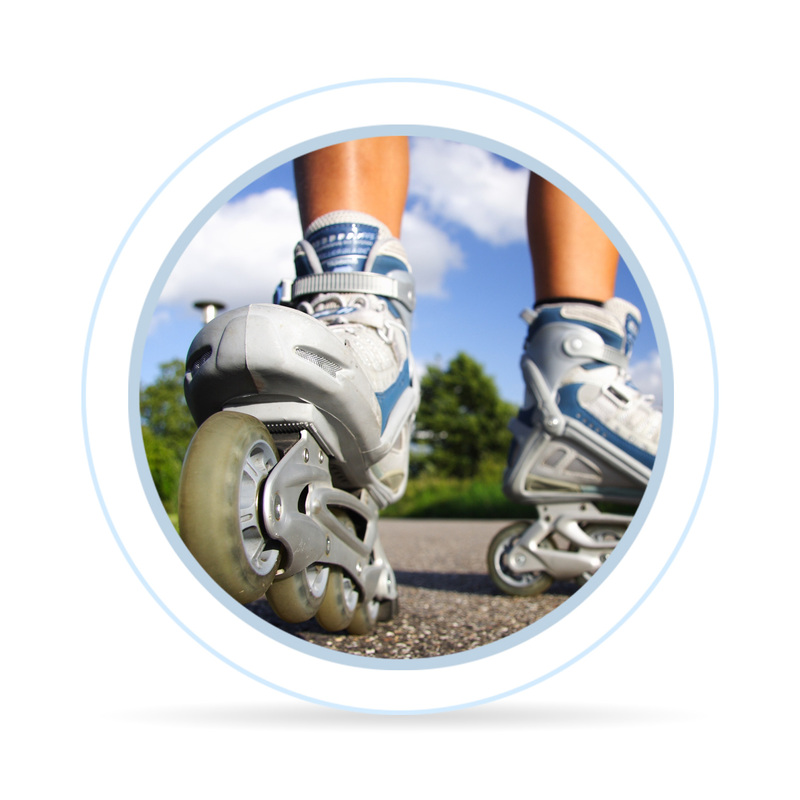 There are multiple criteria when choosing your inline skates. First you should consider your skill level. If you haven’t managed the basics, skates for skilled experts won’t do you any favour. Inline skates can be divided into categories depending on the shoe size size, wheel size and most notably style of skating. Recommended weight of the skater isn’t specified in most cases. Heavier users might want to consider skates from premium quality materials, and should also bear in mind that the wheels will wear down more quickly. 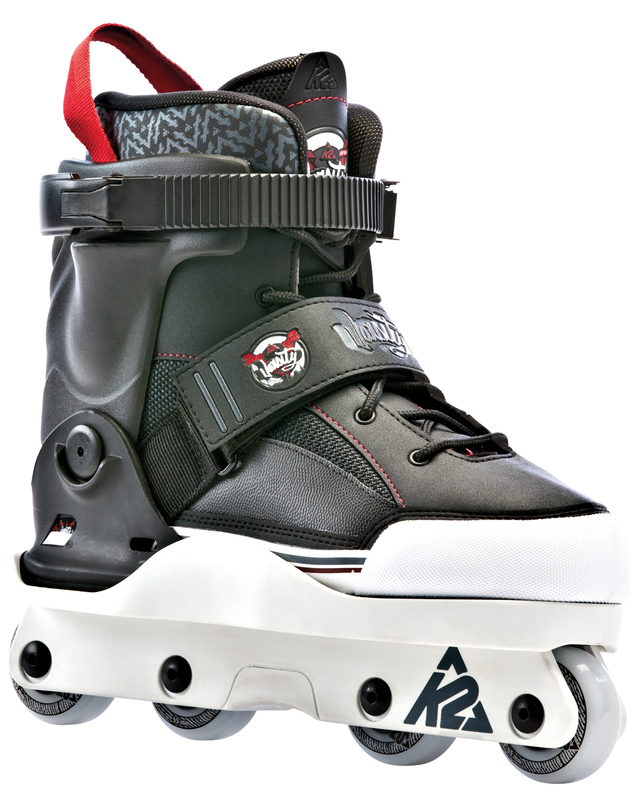 Fitness skates are the most popular type for casual skating and racing. They are suitable both for beginners and advances users. The shoe is soft enough to provide comfort for short and long tracks. Recommended wheel size ranges from 78 up to 90 mm. Bear in mind that larger wheels will allow to gain higher speed. 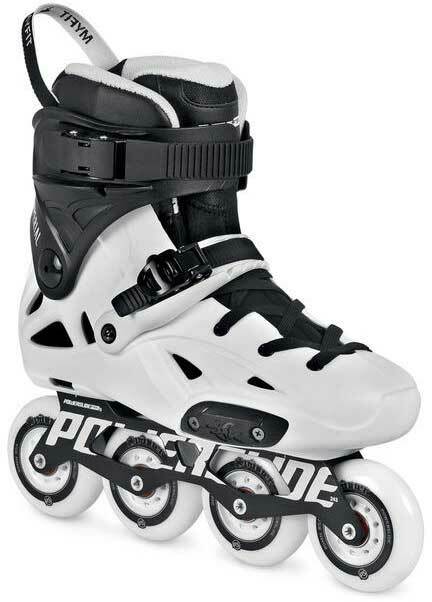 We offer premium inline skate brands Rollerblade, K2, Fila, or Powerslide. (Buy Fitness Inline Skates). Skates with rather small wheels (50-60 mm) and special plastic surface are best for skate parks and U-ramps, but if you want to ride on your favourite track, better leave them at home. Their construction features short frame and hard wheels, which is great for turns and various tricks. Racing skates designed for speed racing which are not suitable for beginners. The wheels with up to 100 mm diameter allow for very high speed and long frame prevents unintentional steering, however makes the skates slightly worse in terms of manoeuvrability. Low cuff doesn’t provide ankle support as classic fitness skates do. 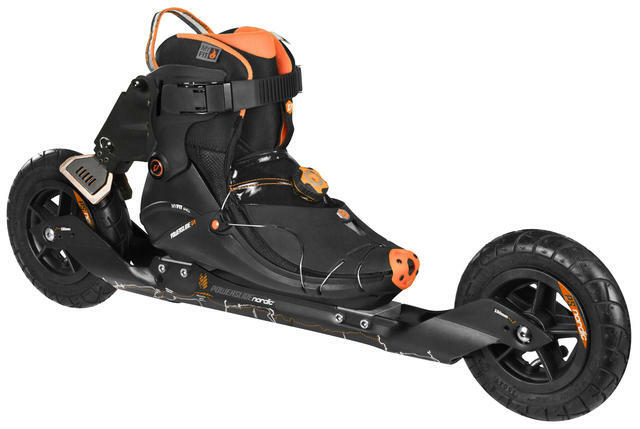 Special inline skates designed for Nordic skating on unpaved tracks. 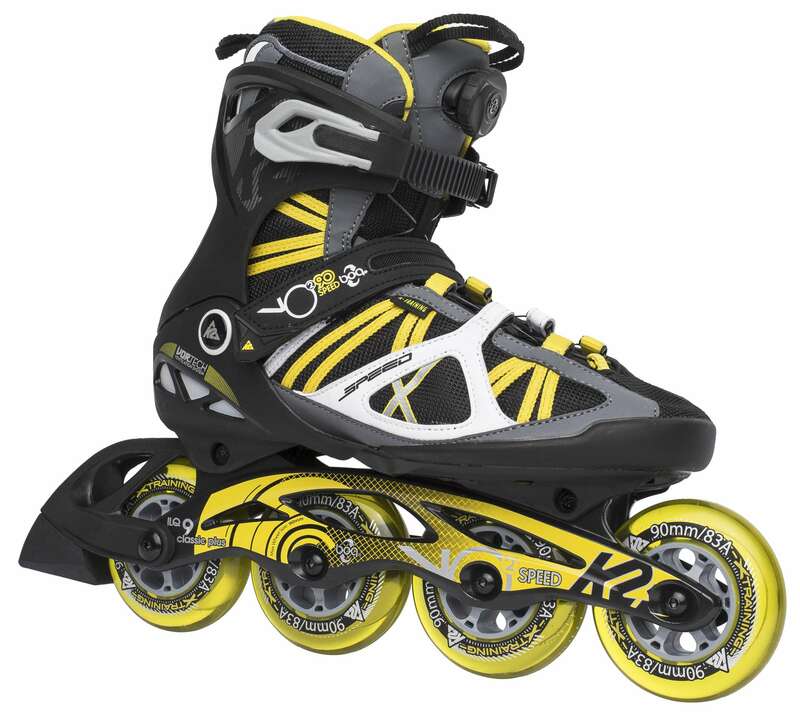 These skates have only two wheels with considerable size up to 150 mm. Rubber wheels will glide smoothly on uneven terrain. Use poles to put your whole body in motion. 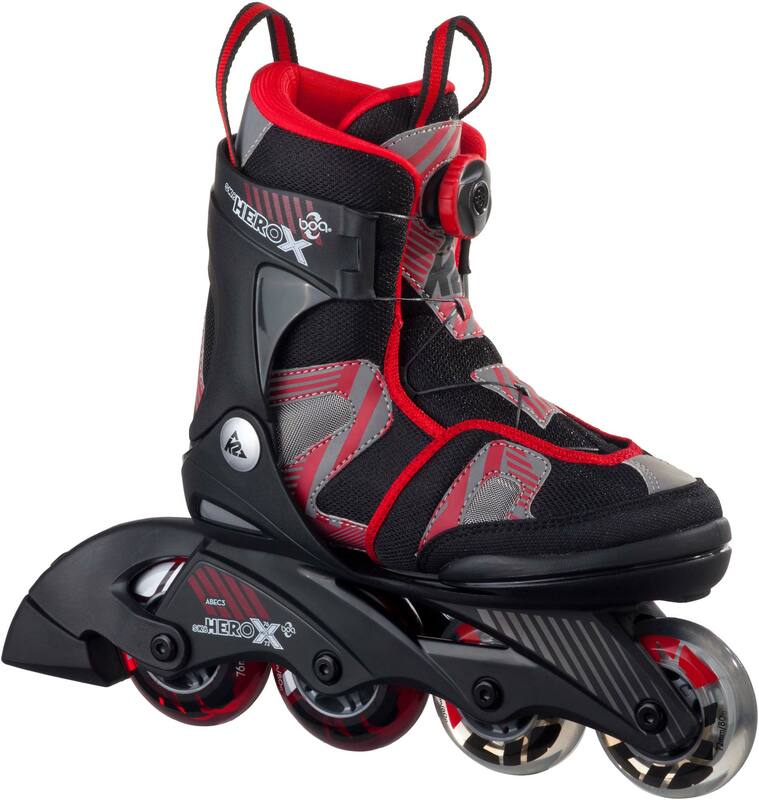 Inline skates suitable for freestyle slalom skating (slalom with tricks) and dancing. 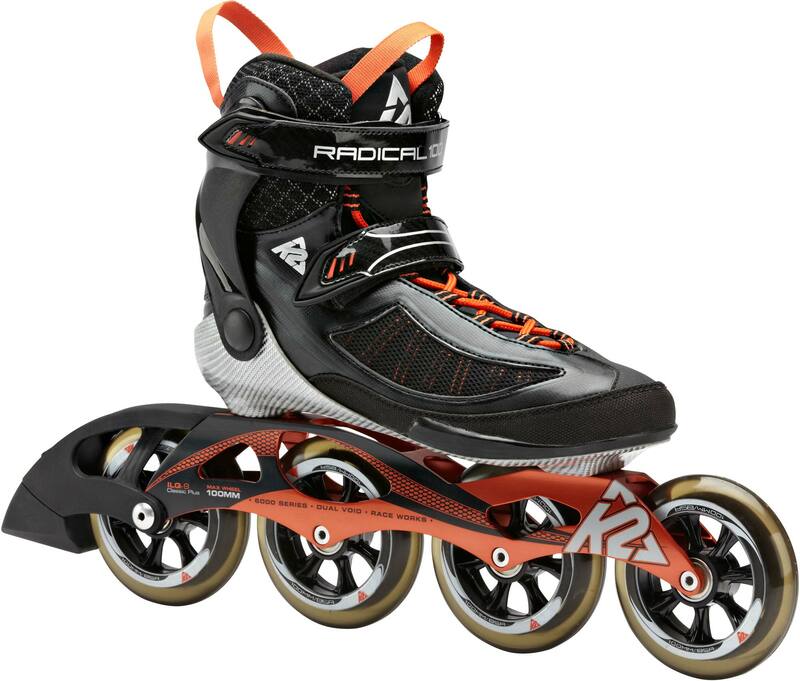 At the risk of pointing out the obvious, Roller Hockey skates are designed for…wait for it…hockey. Roller Hockey is one of the fastest growing sports for people of all ages and as a result, roller hockey skates have become immensely popular. 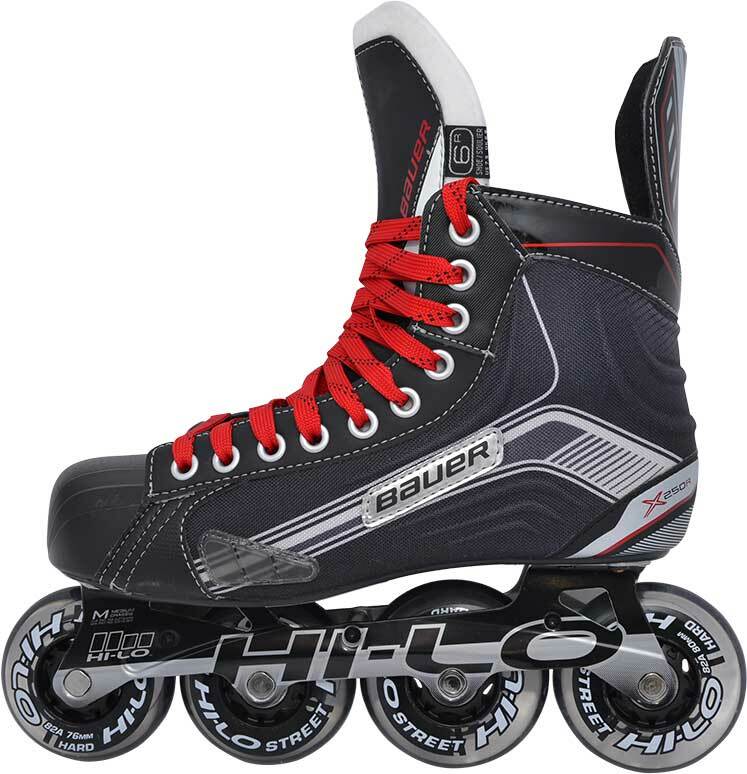 The design of roller hockey skates is very similar to ice hockey skates. Boots are made with reinforced leather and stitching, with some using additional material such as carbon fibre or plastic to enhance the boot. Kids' inline skates are characterized by their adjustable nature that can accommodate several foot sizes from 29 - 41 (EU sizes) and are known for having softer, smaller wheels with diameters ranging from 64-76 mm for greater stability and slower performance. These skates are typically equipped with a Quick Lace system for easier handling.